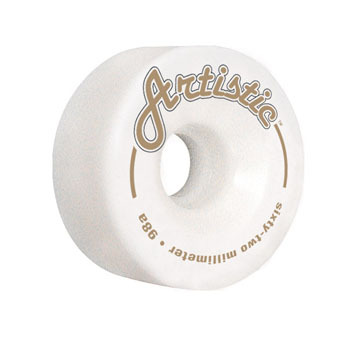 Artistic wheels are normally offered in 57mm or 62mm diameter. 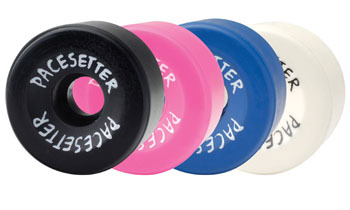 A 57mm wheel will be a little quicker from a dead start, but a 62mmoffers a skater a smooth and long-lasting roll. 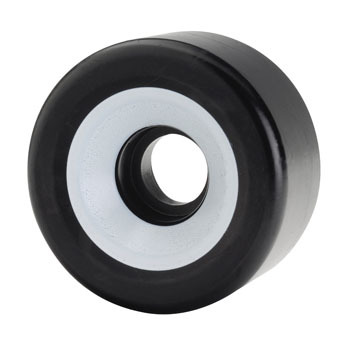 The wheels in the following pictures tend to have a higher durometer ( hardness rating)than most of the speed wheels. 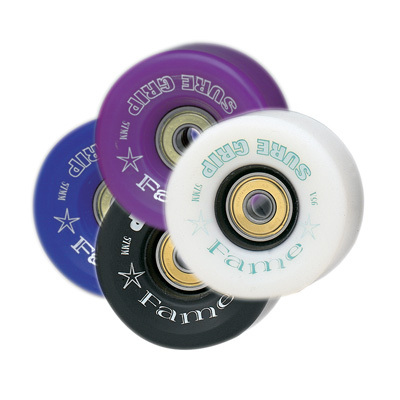 This is because artistic skaters need a firm wheel that offers a good quality roll, and they are lessconcerned about traction when cornering. 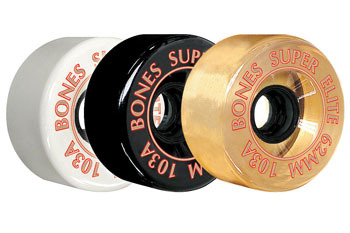 Some of the artistic wheels on this catalog page are Pacesetter, Fame, All-American Plus,Bones Elite, Super Bones Elite, and Fireflys. The Fireflys are light-up wheels.